It plays with expert embroidery and tassel details. An ethnic and colourful stroll with this top and mastered shape. T-shape with no arm seams. Gathers from the rounded front and back neckline for beautiful shape. Back teardrop fastening with tassel tie. 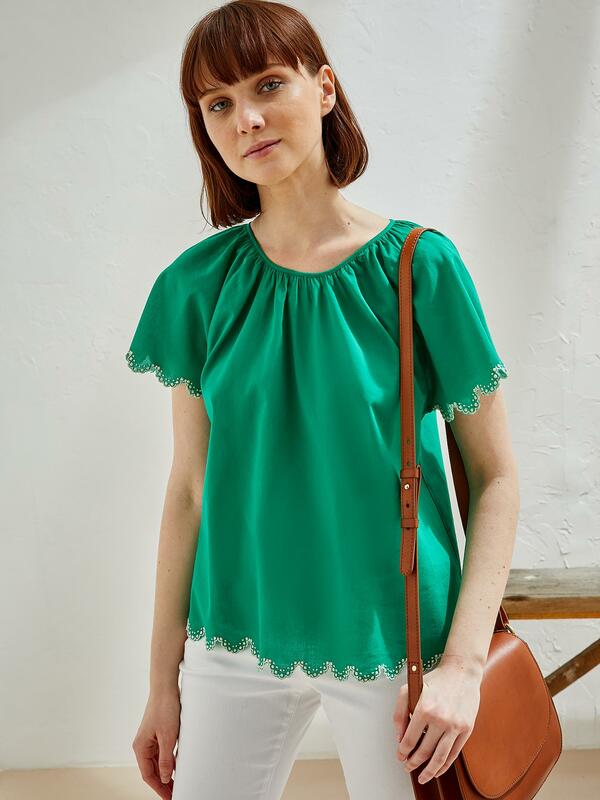 Embroidered scalloped finish at the short sleeves and hem. Length, 60cm approx. Long specialised in artisanal embroidery work, we chose India for its know-how, expertise and sewing culture.